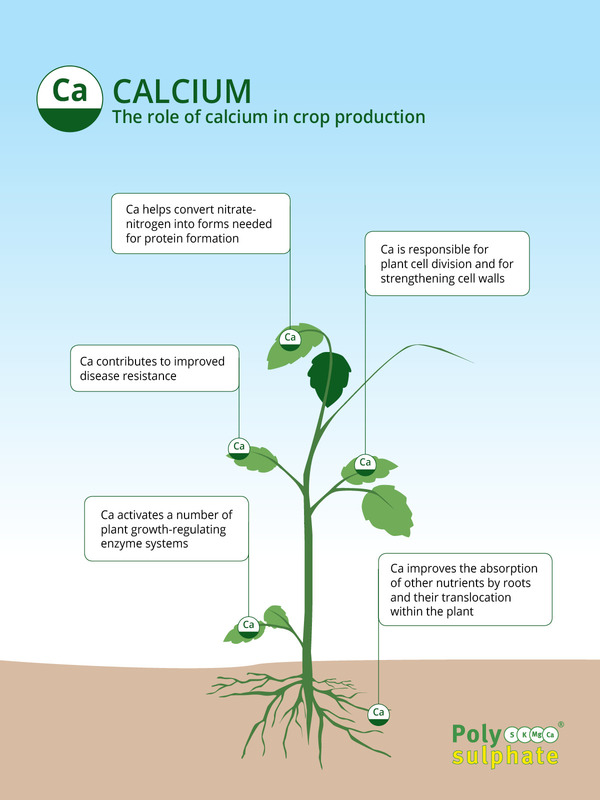 Calcium (Ca) plays an extremely important role in producing plant tissues and it enables plants to grow better. Calcium is responsible for holding together the cell walls of plants. It is also crucial in activating certain enzymes and to send signals that coordinate certain cellular activities. It is calcium that is key to normal root system development. Calcium also increases resistance to outside attack and increases the feed value of forage crops to livestock. Calcium deficiency results in poor root growth and the root tips die. Shortage of calcium makes the crop vulnerable to diseases. These diseases can include blossom end rot in tomatoes, tip burn in cabbage and black heart in celery. 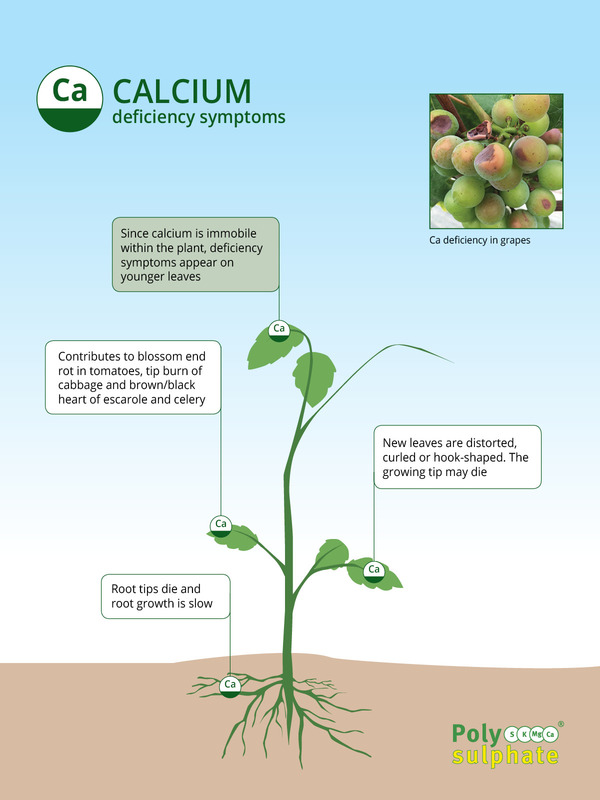 As calcium is immobile within the plant, as supply of calcium ceases deficiency symptoms appear on younger leaves. New leaves are distored, with curled edges and the growing tip may die.